Projectmates by Systemates, Inc. is proud to be implementing another advancing school district. Projectmates will be used as an important construction project management tool to help capture and retain campus data as well as centralize workflow processes for billings and capital planning for future projects and bond programs. Projectmates by Systemates, Inc. leads the way to provide future-proof technology for companies looking for an owner focused construction management software solution. AHT Cooling Systems USA has plans to support regional and national grocery and convenience clients, and to do this, they chose to partner with Projectmates, an award-winning Construction Program Management Software, to help AHT Cooling Systems USA manage its commercial and retail installation of their proprietary refrigeration systems. While the construction industry has seen robust growth in recent years, it is still known as a laggard in one key area: state of the art technology. Systemates Inc., on the other hand, has already begun to take aim at modernizing the industry with its Projectmates software, a sophisticated, cloud-based construction program management platform. Projectmates is excited to partner with Love's receiving the Constructech Gold Vision Award under Retail/Chain category. Projectmates and Love's are recognized for their outstanding ability to address issues with productivity, data sharing, efficiency, and more. 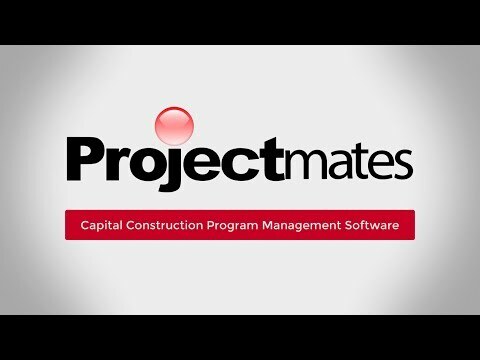 Projectmates is enthusiastic about unveiling the newly updated, robust native mobile construction app focused on managing capital construction projects for owners. User-friendly Projectmates software will be used by Collin College and AECOM for the construction of new facilities. The ease of use, flexibility, and configurability was a key differentiator for the college when looking for cloud-based construction management software. The State of Idaho has always been forward thinking, and today the state has chosen the industry standard smart government technology, Projectmates, to enable increased efficiencies for current and future capital projects. Projectmates software will be the primary cloud-based and mobile friendly software for Bealls Outlet Stores new store, remodeling, and expansion projects. National C-Store chain chose Projectmates online construction management software to reduce its overall schedule and make project managers more efficient and effective. "Projectmates is our future!" The Systemates team is excited to debut the new Projectmates Mobile Construction App. The app combines many features of the previous Projectmates app, along with a bevy of new features to revolutionize project management on-the-go.